Jack Gladney is the creator and chairman of Hitler studies at the College-on-the-Hill. This is the story of his absurd life; a life that is going well enough, until a chemical spill from a rail car releases an 'Airborne Toxic Event' and Jack is forced to confront his biggest fear - his own mortality. 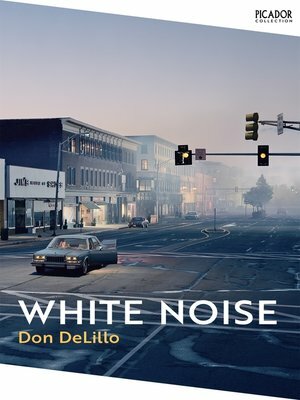 White Noise is an effortless combination of social satire and metaphysical dilemma in which DeLillo exposes our rampant consumerism, media saturation and novelty intellectualism. It captures the particular strangeness of life lived when the fear of death cannot be denied, repressed or obscured and ponders the role of the family in a time when the very meaning of our existence is under threat.